US Hindu Temple attacker has been arrested. The attacker of the Louisville’s Swaminarayan Temple has turned out to be a 17-year-old ‘White’ male who acted alone, said the Louisville Metro Police Department in a press conference on February 1st. The Hindu Temple was attacked some time in between the mornings of January 28 and 29. The arrest of a teenager was nothing short of shocking. 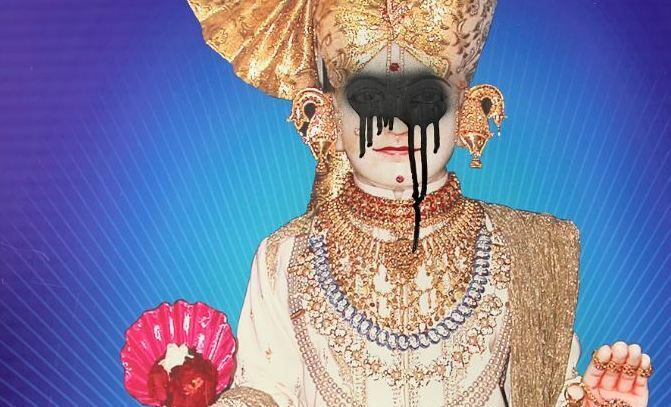 The police said that the juvenile broke into the Temple and that his act had some religious aspect to it and said that in his act ‘there was a bias’. He also said that now the courts will decide whether to charge him for a hate crime while stating that since the attacker is a juvenile hence, his picture will not be released to the reporters. 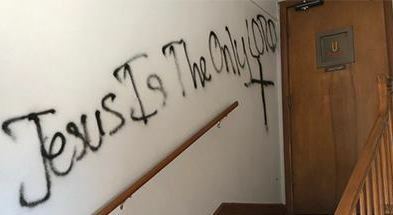 Abuse filled graffiti on the walls. 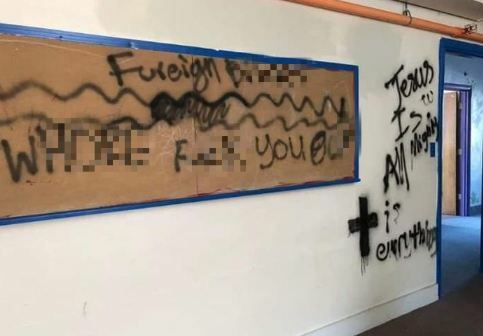 The 17-year-old after breaking into the Temple and had written expletives for the Hindus calling them ‘w***’ and ‘foreign B***’ while writing that ‘Jesus is All Mighty’, ‘Jesus Is The Only Lord,’ ‘+ is everything’ among others. This is not the first time that Hindus have come under the weather. According to reports in 2015, some 40 Hindu religious flags were burned outside a home in Queens (a New York City borough) on Thanksgiving Day, while to humiliate the American Hindus a Muslim man also put up anti-Hindu signs on his property.